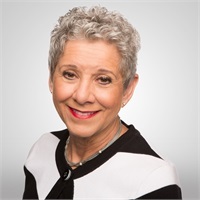 Joan Grenert is the Director of Operations with Rutledge Financial Partners, LLC, managing the firm's business development, client relations, and office administration. She ensures the day-to-day operations of the firm run smoothly and that client needs are taken care of in a timely manner. Prior to joining the team, Joan worked with Ameriprise Financial and Edward Jones, assisting senior advisors. With more than 10 years of experience in the financial services industry and more than 24 years in customer service, she combines her industry knowledge with her passion for helping to assist the firm's clients with their various needs and questions. She enjoys the opportunities her position allows her to make a positive impact on people's lives. Joan is a born and raised New Yorker, but has called Charlotte, North Carolina home for the past two decades. Outside of the office, she enjoys traveling, gourmet cooking, yoga, and Pilates.